Have you been paying attention? Women still die from pregnancy related complications and the rates have increased sharply. We live in a developed country and yet the health care system in the U.S. is failing women. Being pregnant can be risky. The maternal mortality rate is an indicator of healthcare quality worldwide. It measures the number of maternal deaths per 100,000 live births over a defined period. The United Nations 5th Millennium Development Goal was to improve maternal health. Their target was to reduce the maternal mortality rate by 75% from 1990 through 2015. The U.S. is going in the wrong direction. The U.S. maternal mortality rate more than doubled from 2000 to 2014 according to a report in the journal, Obstetrics and Gynecology. 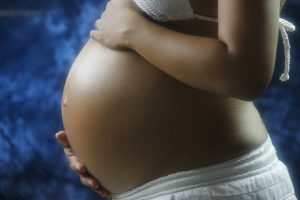 They reported a rate of 18.8 maternal deaths per 100,000 live births in 2000 and this increased to 23.8 in 2014 for the 48 states including the District of Columbia. California rates are steadily decreasing while Texas had a sudden increase in 2011-2012 with its rate being 35.8 deaths per 100,000 live births. In its July 21, 2017 issue, the Washington Post highlighted the fact that Texas had the highest maternal mortality rate in the country. Black women accounted for 30% of the deaths even though they represented only 11% of the births. They reported that 60% of the deaths occurred 42 days or more after the delivery and listed diabetes, high blood pressure, late prenatal care, cesarean delivery and obesity as the five factors linked to the deaths. Even though the reports noted the greater prevalence in black women, all women are at risk. White women, educated women, and even young women are dying. What can you do to protect yourself? The list is long but first you can start with educating yourself. Learn about pregnancy, the common symptoms of pregnancy and what signs indicate the need for you to see a doctor urgently. Learn about the post pregnancy state and what symptoms you should look out for that require immediate attention. Plan your pregnancy and make a concerted effort to get healthy before conception. Make an appointment with your Ob/Gyn for a preconception visit so you can receive counselling on any recommended pre-pregnancy tests. If you have medical problems, work with your doctor to get these under control before attempting pregnancy. If you can, be judicious in selecting a health care provider and your delivery hospital. Read about the doctor’s background and training. Check your state’s medical board website to see if this doctor has had any recurrent problems. Review your doctor’s practice and understand how they manage emergency care. You need to know who to contact or where to go if you have an urgent or emergent problem. Investigate the hospital. Do they do 1500 deliveries a year or 7000? The busier an Obstetric service is, the more likely they will be experienced and capable of managing pregnancy related complications. Women, we need to wake-up and take control of our health. Educate yourselves so you will be able to demand the proper care and be able to advocate for yourself, your family and each other. You must do this for yourself. We can’t count on our healthcare system to provide ideal care to every person. It is far too complex, cumbersome and overburdened. Your life is at stake. Get engaged.